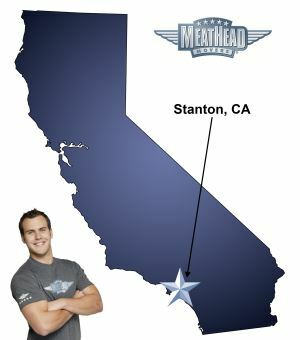 With plenty of moving services, Meathead Movers is fully prepared to make Stanton your new home. Our clean-cut student athlete movers are dedicated to fulfilling all your moving needs efficiently. The City of Stanton has enjoyed good population and economic growth over the last decade thanks to its prime Orange County location. Just 15 minutes from Disneyland, Stanton provides quick access to both L.A. and Orange Counties. For families, moving to Stanton means starting afresh in a friendly, small community. Stanton movers can help take the worry out of moving and ensure that you have everything you need to get settled down in your new home. Once considered a rural area, Stanton began to grow in the early 20th century when a light rail line from Watts to Santa Ana was constructed. By the mid-20th century, the city’s had grown significantly thanks to the construction of warehouses and industrial centers in the area. In 1955 the landscape changed for Stanton and the surrounding cities when Disneyland opened. This once-rural area quickly became a bedroom community. Today, Stanton still serves as home base for many individuals who commute to work throughout Orange County. Of course, the city also offers a wealth of services designed to provide for the needs of residents and to encourage them to patronize local businesses. Those who move to the city are protected by the Orange County Sheriff’s Department, which has seen a 40 percent reduction in city-wide crime rates since 2007. The city is now considered very safe and is touted as an ideal place to raise a family. At Meathead Movers, we know that making the transition from your old home to a new one can be tough. As your Stanton movers of choice, we’re here to help you make your move as easy and stress-free as possible. We specialize in local, long-distance, and commercial moves. For those families who simply don’t have the time to pack up boxes, we even offer Princess Packing services. We also offer our distinctive moving concierge service to help connect you with local service providers in the area. Moving to Stanton should be about starting a new chapter in your life. At Meathead Movers, we employ student athletes who value your time and will take care of the heavy lifting for you. In fact, your movers will jog when they’re not carrying boxes to make the most of your moving dollar. No matter your moving needs, we’re here to help. With our 100% satisfaction guarantee, the only thing you have to lose is the stress that comes from moving! So contact us today for a free no-obligation moving quote and to learn how we can help you on your next move! Moving to Stanton? Here are some helpful resources. Was not at the location at moving time. Heard that the 2 gentlemen did extremely well. Except 1 cut his finger very badly and was told to continue. It was thought by the people there, that he might have needed stitches?? These guys were great. It was a big job and they took care of my belongings like they were their own. Trevor was the Mentor and was professional, detailed, fun and it was a pleasure working with him today. Dean was professional, polite and so kind. Both men worked very very hard and this was the first time I have ever used Professional Movers and I will never do it again without Meatheads!